INSTALL PAID APPS FOR FREE AND SAVE HUNDREDS OF DOLLARS! 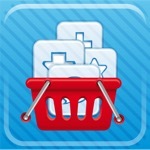 Apps Promo is the best tool to discover the latest and the greates deals in the App Store, everyday! "It is a great tool for those who are looking to save money on apps." This app has a 4.2 star rating (2870 ratings). It occupies the 54785th position in our ranking with 70 points. It is among the 5% best ones of the overall top.